The First English Language Teacher Training MOOC of its kind. At last: The First English Language Teacher Training MOOC of its kind. It’s time to shed light on Jason. R. Levine’s new initiative for teachers all around the world. The first ELT teacher training MOOC of its kind is about to be launched on WizIQ. The brain-child of Jason, this global initiative is really a streamlined vision designed to accelerate professional development for teachers everywhere. The topic of this first ELT-T MOOC is one close to the hearts of teachers everywhere – “Teaching Vocabulary“. MOOC stands for Massive Open Online Course, and is, by its definition, free of charge. Many Massive Open Online Courses can get quite complicated or depend on much external technology and extra learning spaces. The idea behind this course is to keep it as simple as possible so as to truly help our large personal learning networks online. Not only has Jason created a very simple solution to teacher-training online, but the power behind this lean learning machine is inexhaustible. It’s a kind of self-generating model, where collaboration (both organized and spontaneous) will reach out to all corners of the globe. Simplicity of the Coursefeed and Course Layout. The course will include some live online teacher training sessions plus round-the–clock workshop experiments. Course attendees will be encouraged to share ideas, try new techniques, collaborate on group projects and share work with their peers. a) Professional and dedicated facilitation of all activities and assignments via the Coursefeed. You will recognize some active online professionals as your facilitators, including Dr. Nellie Deutsch and myself, who have dedicated our careers to online education through cutting-edge pedagogical practices. Apart from WizIQ professionals, wider teams of passionate online educators are volunteering to work alongside us in a dedicated drive towards learner-centric excellence. b) High-powered creativity through non-intrusive technology is the name of the game. To participate in this course you do not need any technical knowledge beyond emailing, Facebook, simple word processing and using Google docs. Should it be necessary to collaborate via Google docs, we can also provide simple tutorials for those who haven’t used them before. The main thrust of the interaction will be via Coursefeed etc. There will be nothing to download, set up, or get nerdy about. Save your brain-power for the most important things – improving education and getting inspired. Have fun smashing through lazy comfort zones and fine-tuning best practices. The whole impetus and ideology behind this global collaboration is the notion of openness and spreading a global ripple effect. Respect is the bedrock of this initiative. We have the knowledge, experience and technology to really make a difference. We have the heart and mind of Fluency MC ready to take us all to new levels of creativity and innovation. Most importantly, we have your talents and ideas to nurture and encourage. C) The Coursefeed on WizIQ is designed to be very simple. As simple as Facebook, all attendees can interact on the Coursefeed and have easy access to all relevant files associated with courses lessons, experiments, workshops and objectives. Dr. Nancy Zingrone describes the Coursefeed as a ‘built-in social media hub’, and I couldn’t agree more. To see a great image of the Coursefeed system and read more about the course feed, check out this article by Dr. Nancy. The actual live online sessions are accessible through a simple link and communication is self-explanatory once you find yourself in the live online classroom. If the live classes are scheduled at times when you’re not available, no worries! You can watch the class recordings when it is convenient for you. D) Finally, the level of commitment, interaction and work is up to you as an individual. There are some basic requirements if you wish to receive a certificate of completion, but otherwise the course will be largely defined by your own needs and interests. We’ve got the team, the knowledge and the inspiration to do great things. You are the community. Join us and show us what you know and what you want to learn. This is our chance to engage in a unique global blend of reciprocal professional development. It is also a chance to indulge in fun and revel in creativity. That’s the way it should be. Many thanks to Jason R. Levine for making this possible, and for igniting new spirit into professional development online. 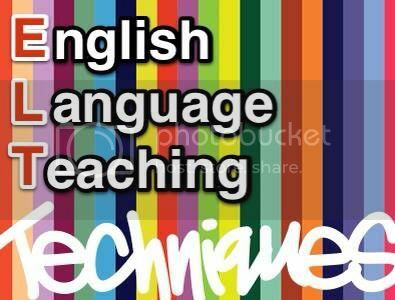 You can read more about ELT Techniques and join the course by CLICKING HERE. is an online English teacher, writer and blogger who facilitates professional development online. She uses brain-friendly techniques to help students and teachers around the world. She designs educational materials, develops courses, writes resource papers and publishes ebooks. Her work is the result of much research into the psychology of learning, as well as hands-on experience with multi-media technology. Looks great! When are the classes? Hi, Laura! It officially begins on July 29th but chats have already begun in the Course Feed. I hope you’ll join! Awesome – I am excited to see what this is all about. Love collaboration! Glad to have you with us, Daniel!